At Holy Trinity we expect the highest standards of behaviour in and around the school. It is extremely important that all pupils have the correct atmosphere in which to study and learn and that there is an environment where they are able to concentrate and focus on their lessons without interruption or distraction. However, we are also aware that the great majority of pupils co-operate fully and yet are never rewarded for their exemplary behaviour and attitude. To this end we use a Behaviour recording system which encourages pupils to perform at their best and identifies areas where there are situations which might prevent this. All pupils are given 20 Behaviour for Learning (BfL) points at the start of the year. The objective is that pupils retain these points and in some cases add to them over the year. However, should a pupil prove to be unco-operative in any manner then they will lose points according to a designated scale which is followed by all staff. Negative behaviour events are categorised in levels with identities of C1 for minor issues through to C6 for the most serious. Each category has an appropriate sanction which includes detentions, loss of privileges and can result in exclusions from school for more serious events. Positive behaviour is recognised by comments and BfL points, all of which are recorded in the system. 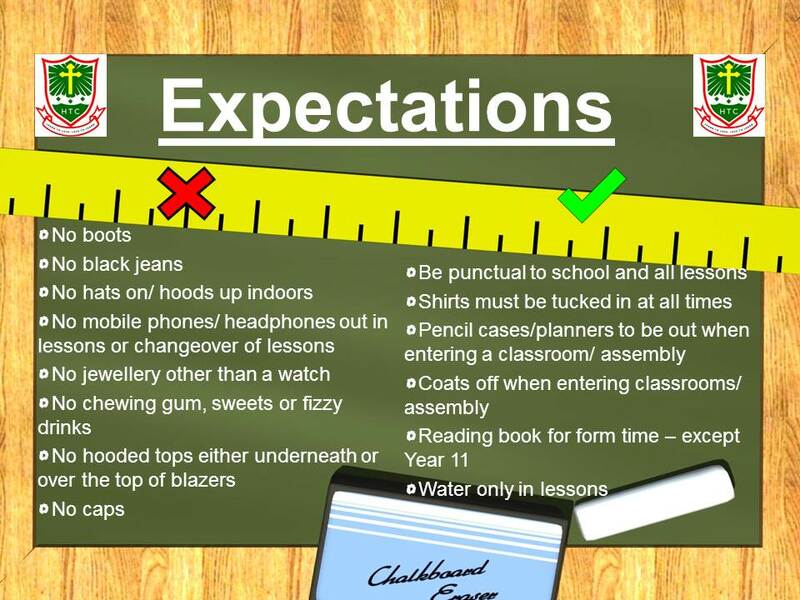 The number of points associated with each pupil is closely monitored throughout the term to identify where there are difficulties and steps are taken to discuss these difficulties with pupils and an appropriate action is taken to remedy the situation. 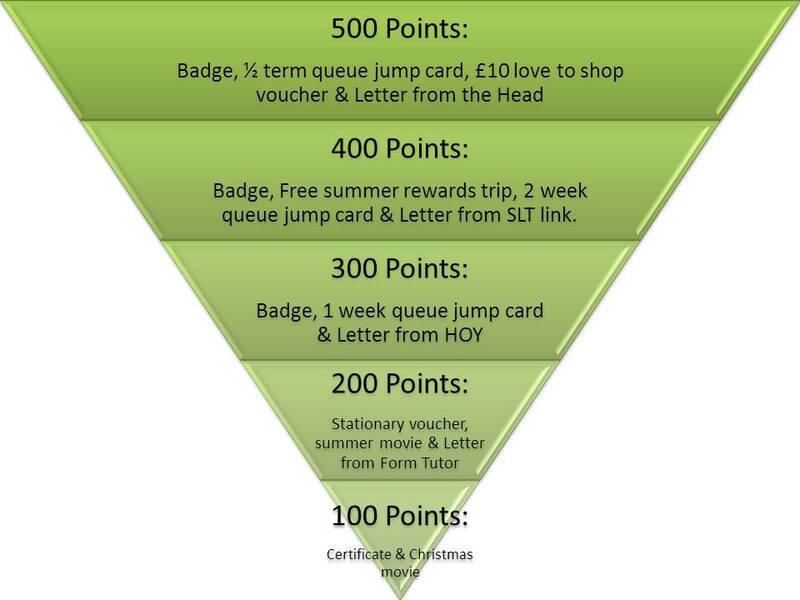 At the end of a fixed period (usually a school year), pupils who have retained a certain number of points are rewarded according to the Rewards policy. 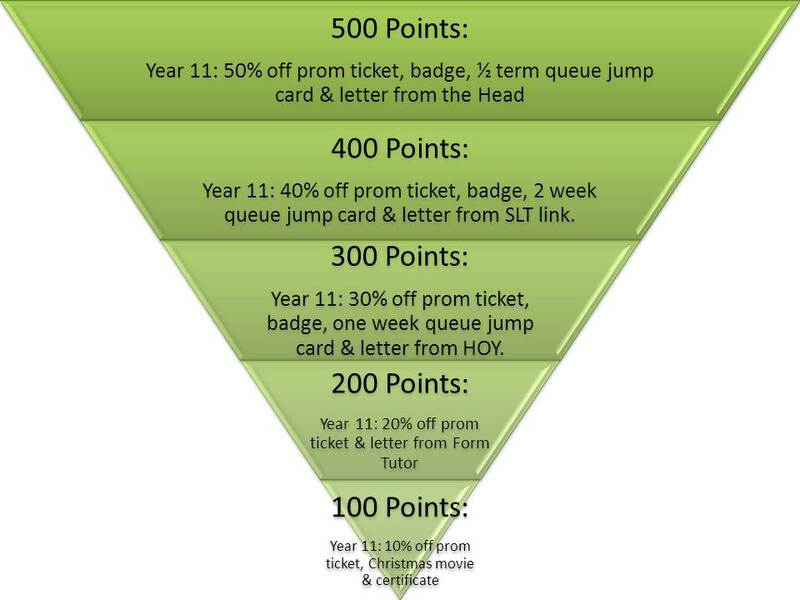 In the case of Year 11 pupils, their point totals will have a bearing on whether they are invited to the school prom. All pupils have opportunities to earn back any lost points by co-operating fully with the school, participating in voluntary sports and social occasions and by perfect attendance, punctuality and uniform. Obviously, pupils have to work that bit harder to earn back lost points but the objective of the school is that every pupil gets their reward at the end of a year. How can parents participate in the project? – All behaviour comments, point totals and awards or losses are recorded in our management system which can be viewed by pupils and parents through the Internet at home. Every parent will be issued a log on for MyChildAtSchool and this gives access to the data. Parents should follow a students progress and behaviour by logging on regularly and by discussing the information with their children.